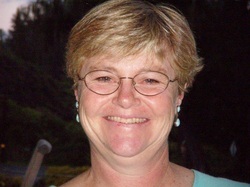 Nancy A. Kaiser lives in the healing Blue Ridge Mountains of North Carolina surrounded by her family of two Labs and a horse. She operates “Just Ask” Communications, a practice devoted to healing the human-animal bond through enhanced communication and understanding. Her abilities in telepathic animal communication and healing emerged while managing an equine veterinary hospital for 27 years. Nancy is an ordained minister in the Universal Brotherhood Movement and works as a spiritual liaison for animals and their human companions. She is committed to bridging the chasm that has developed between species while increasing respect for all our relations. Nancy is the award-winning author of two books, Letting Go: An Ordinary Woman’s Extraordinary Journey of Healing & Transformation and Tales of an Animal Communicator ~ Master Teachers. LETTING GO is the extraordinary story of a woman who retires with her husband to the mountains of North Carolina to build their dream retirement home. Just as she embarks on this fabulous new chapter in her life, her husband confesses, “I never wanted any of this….” Follow her struggle to learn from and let go of the devastating feelings of betrayal, grief, anger, fear, and loneliness that engulf her after they separate and divorce. Abandoned 600 miles from everyone she knows, her dream shattered, without a home or job, she dares to ask, “Why?” The answers lay buried deep beneath her pain. Join her as her quest for Truth reveals the unusual teachers from within Nature and the spiritual realms, available only to those with the courage to seek answers. 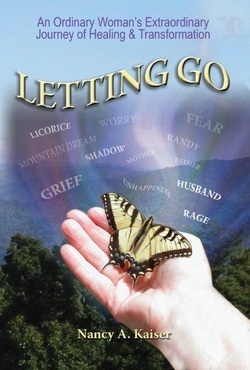 Discover how she learns to let go and embrace her destiny. Letting Go will help you learn from your traumatic life challenges more quickly & easily. Once your lessons are learned, you can let go of your pain and move forward with grace. Tales of an Animal Communicator ~ Master Teachers chronicles the tales of the remarkable animals that taught an animal-loving pharmacist that she was destined to be an animal communicator and healer. These amazing tales began after her marriage to an equine veterinarian in 1977. Having left pharmacy to manage their equine hospital and breeding farm in central New Jersey, she found that astonishing animals and events began entering her life. From her life on Fair Chance Farm, through her move to the mountains of North Carolina, and subsequent divorce, the lessons and unconditional love of the extraordinary animals that surround this gifted woman will simply astound you. Tales will broaden your perspective on the significance of your animals in your life while helping you develop more meaningful relationships with not only your animals, but all animals. Join Nancy on a journey of growth and discovery. You will never look at your own animals the same way again! A portion of the proceeds from the sales of this book will be donated to Nancy’s local Humane Society, Noah’s Wish, and The Wild Horse Sanctuary in Shingletown, Caliifornia. 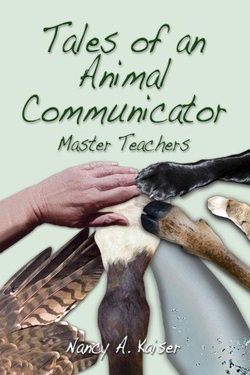 A companion CD or MP3 download to Tales of an Animal Communicator – Master Teachers is available for purchase from Nancy’s Website. Gifts From the Universe contains two releasing exercises that form the final chapter of the book and are designed as guided meditations to aid with the tumultuous energies of CHANGE that we’re all experiencing at this time on our planet.